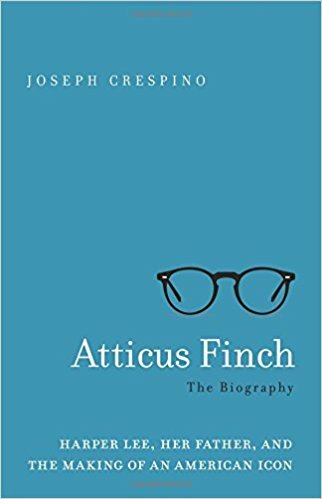 Brooklyn Digest: Books: "Atticus Finch: The Biography"
Lee conceived of her two novels, To Kill a Mockingbird and Go Set a Watchman back to back in the first six months of 1957 but published fifty years apart. Mockingbird and Watchman became a kind of Rorschach test for the politics of race in the period that they were published. 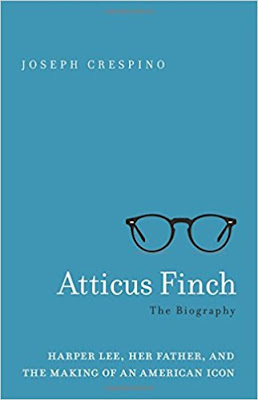 They are unusual, too, in their paradoxical treatment of one of the most beloved characters in all of American literature, the orienting figure of both novels who became a symbol of decency and goodness, Atticus Finch. 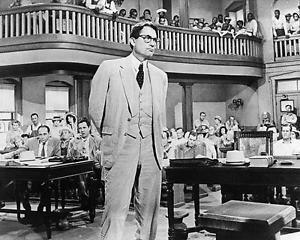 Gregory Peck as Atticus Finch in the movie verison of To Kill a Mockingbird. "It would have been impossible, too, for Harper Lee to have imagined in the late 1950s the changes that would come to her native South. That was when the militant segregationists were still in the driver’s seat, and the common bit of cynicism among even progressive white southerners was that the law can’t change people’s hearts. But stories can. And Harper Lee’s story did, in a way that’s hard to measure—aside from the astronomical book sales—but hard to deny. "Her North Star in those chaotic, confusing days was her father. However much she might have disagreed with him on the particulars, she knew her father to be a man of character and substance, someone who deserved a serious hearing. That was the idea with which she started her first novel, after the Browns gave her that extraordinary gift. In her imagination, she returned to her childhood, to when she had grown up at the foot of a fair and decent man in a tucked-away, forgotten corner of the country. That is where the story of Atticus Finch began for Harper Lee, and it is where it begins for us as well." Harper Lee called Mockingbird "a love story pure and simple." With the discovery late in her life of Watchman, we know that how she came to write that story, along with the construction of the character of Atticus, the source of that love was anything but simple. With Watchman, we know that Lee set out to write a novel not just about love, but politics as well. Crespino argues that to understand Atticus, it is necessary to look back on the political struggles that preoccupied her father, a lawyer, state legislator, and newspaper editor in Monroeville, Alabama, which were the same struggles that affected Harper Lee herself. Crespino uncovered a lot of new or previously unexamined sources that make this possible: letters and documents from the files of Lee's publisher; privately held letters written by Lee from Monroeville in the 1950s that shed light on her relationship with her father and developments in her hometown that influenced her fictional story; interviews with Lee's oldest living niece and nephews, who offer fresh insights into the life of their grandfather and famous aunt alike; and possibly the most important, hundreds of editorials A.C. Lee wrote during his years as editor of the Monroe Journal. Crespino writes of A.C. Lee, "The best way to understand A. C. Lee is to read what he wrote. There is plenty to choose from—more, in fact, than his famous daughter ever published. In the hundreds of editorials that he produced over nearly eighteen years as editor of the Monroe Journal, all the quaint fare one would expect from a rural weekly is on display: reports on prize hogs or gargantuan turnips, pictures of beauty queens, respectful obituaries, and long columns of short paragraphs noting who came or went visiting which relative or friend at Christmas or Easter. Yet so, too, is coverage and original commentary on an extraordinary range of issues and concerns. 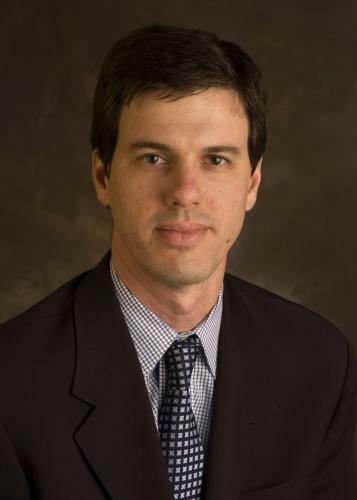 Under Lee’s leadership, the Journal didn’t merely report local happenings; it interpreted the world for its readers, only a small minority of whom had even a high school education. "A. C. Lee himself didn’t have that. Eighth grade was the highest he completed. His formal education, such as it was in a rural schoolhouse five miles outside the tiny panhandle town of Chipley, Florida, ended at age sixteen, when he passed an exam that qualified him to teach at another meager schoolhouse elsewhere in the county. Yet Lee was Lincolnesque in his reading habits and devotion to self-education. He was a thoroughgoing Anglophile, a trait that he would pass down to his daughters. A grandson would recall hearing the names of Addison and Steele, Macaulay, and Gladstone in family conversation long before he had any idea who they were. A. C. read mostly legal and political history and biography. Southern history was a particular favorite. He consumed every book ever written by Douglas Southall Freeman, the editor of the Richmond News Leader and two-time Pulitzer Prize winner for his multivolume biographies of Robert E. Lee and George Washington. A. C.’s copy of W. C. Oates’s History of the 15th Alabama was so worn that his daughter Alice would be on constant lookout for reprints. A. C.’s father, Cader A. Lee, had fought with the regiment for four years, battling Chamberlain’s men on the fateful second day at Gettysburg, taking the bloody road south, stacking arms at Appomattox with what remained of the army of northern Virginia. "Albert James Pickett’s History of Alabama was a cult classic in the Lee family. From it A. C. learned the history of the aboriginal tribes with their ancient burial mounds and fortifications, and of de Soto’s explorations. Pickett wrote about the colonial rule of the Spanish and the French, and the arrival of English settlers, who came to the area that would become Monroe County either by traveling north up the Alabama River from Mobile, or coming down the Federal Road, which the United States had established as a postal route through Creek territory. A. C. would have read of the brutal fighting between whites and Indians in 1813 and 1814 that culminated in the Treaty of Fort Jackson. Pickett wrote a dramatic account of the Battle of Burnt Corn, considered the first real battle of the Creek War, which took place just south of Monroe County. At the beginning of the war, in Pickett’s telling, “[e]verything foreboded the extermination of the Americans in Alabama, who were the most isolated and defenceless people imaginable.” In addition to reading about local history, A. C. enjoyed taking his grandchildren and out-of-town visitors to the historical markers in and around Monroe." Incredibly, previous biographers of Atticus ignored these editorials, which Crespino argues are crucial for a full assessment of Lee's fiction. While we have long known that A.C. was the inspiration for Atticus, what has been lost is how deeply engaged he was with the momentous events of his time. In his life and writings, A.C. demonstrated a principled, conservative opposition to demagoguery and fascism, at home and abroad. After being a lifelong Democrat and loyal admirer of Franklin Roosevelt, he turned against the New Deal in the late 1930s as labor and civil rights politics moved to the fore of national Democratic party politics. One result of this was a political rift between A.C. and his daughter Harper, who was spirited, nonconformist, and politically unorthodox. By the time Harper Lee wrote her novels in 1957, those days were long past. The Supreme Court's 1954 decision in Brown v. Board of Education set loose extremist forces across the Deep South. Conservative white southerners such as A.C. Lee, who in an earlier era might have condemned the fear-mongering and demagoguery, fell silent. Crespino argues that Watchman was Harper Lee's effort to make sense of her father's conservatism and the madness of massive resistance. However, it didn't succeed as a work of fiction or a defense of her father's politics. It would be the Mockingbird that coincided with the cultural reinforcement for a quiet oppositional politics in the white community, one that defined the foundational myth of the militant segregationists, which was the idea that the white South, united by blood, soil, and the tragic history of the Lost Cause, would resist racial integration in the bitter end. When this myth was punctured, that was the beginning of the end of the Jim Crow South. When Lee was struggling to write her first novel during the heyday of the massive resistance, she couldn't have dreamed that the character she invented would become an essential symbol of empathy and tolerance in American life. It also would have been impossible for her to have thought in the late 1950s of the changes that would come to her native South. At that time, the militant segregationists were in the driver's seat, and the common but of cynicism among even progressive white southerners was that the law can't change people's hearts. Stories are what move people, and Lee's story certainly did that. Crespino created a tale of family and literature amid the upheavals of the twentieth century with Atticus Finch, an essential work to understanding Harper Lee, her novels, and her times.